Eric Raisina is one of those designers able to transport you immediately into his own private universe. It was in his home universe of Madagascar where he began his foray into design and sewing. Natural materials, such as silk, raffia, sisal, linen and cotton quickly became trademarks. Winning the prize of New Young Talent at the Fashion Festival and Textile Competition (MANJA) enabled him to study in Paris at the Duper School where he excelled in the creation of textiles. 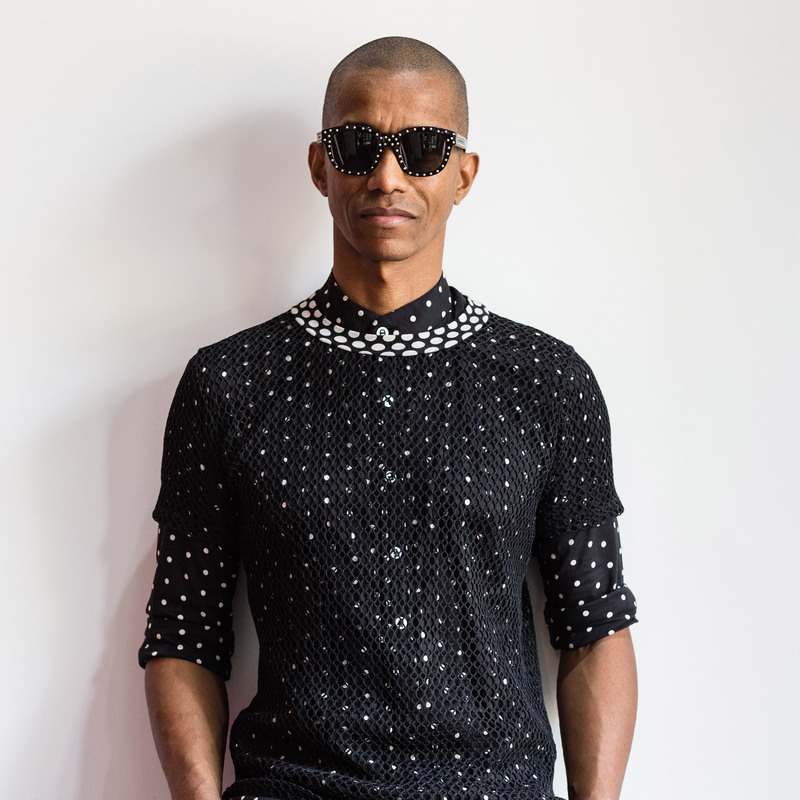 He began entering his creations in the Haute Couture shows in Paris and Graduated with a Master’s degrees from the institute Français de la Mode in 1999. His taste and exploration compelled him to discover new cultures and diverse techniques in Africa as well as in Asia. Various experiences gave him the confidence to start his own workshop where he trained weavers, sewers, and embroiderers. Research began on new textures, colors, unique weave patterns, most recognisable Silk Fur and Natural Raffia lace. ERIC RAISINA haute couture collection is composed of one of a kind pieces and accessories of one of a kind pieces and accessories which demonstrate his passion and talent for style, which continues to evolve, all the while staying true to his personal taste. His collection have been shown in Asia, Africa, Europe, China and the United States.